Merkin Vineyards is a winery from Maynard James Keenan who is the lead singer of Tool, A Perfect Circle, Puscifer, and a few other bands. If you are wondering about the label merkin is a term that originated in the 1600s for a pubic wig. I'm a big fan of his music so I really wanted to love the wine, but it is made from grapes with the general term of California which usually means Central Valley so I wasn't expecting much. I'm usually not a big fan of Sierra Nevada, but their Ruthless Rye IPA is amazing. It tastes a little weedy without being skunky. The high hop load imparts a nice pine and grapefruit flavors. The rye imparts some different flavors and a delightful thick dirtiness versus the average IPA that is crisp and clean kind of like a burlesque dancer compared with a model. Between the hops and the 6.6% alc by vol, it doesn't take more than one after a 12 hour work day to put me to bed. So if you like IPAs and bold flavors you need to try this delicious brew. P.S. For as refined as my wine palate is, my beer palate isn't. Even though I've had far more beer (mostly microbrews) than wine, I seem to usually just enjoy beer versus dissecting wine. Maybe if I had worked in a brewery it would be the opposite. Usually Stags' Leap makes amazing wines, but their 2007 Petite Syrah [sic] from Napa Valley is far less than amazing. It started off well with a dark inky purple color. The nose exhibited dark chocolate, licorice, and slightly vegetative flavors most notably asparagus. On the palate the first thing I noticed was the alcohol which isn't very high at 14.3%, but it shows far too much. The wine is also slightly astringent with green flavors as well as bitter-sweet chocolate. The high acidity and alcohol bite the tongue. I was very disappointed by this overpriced wine ($35). 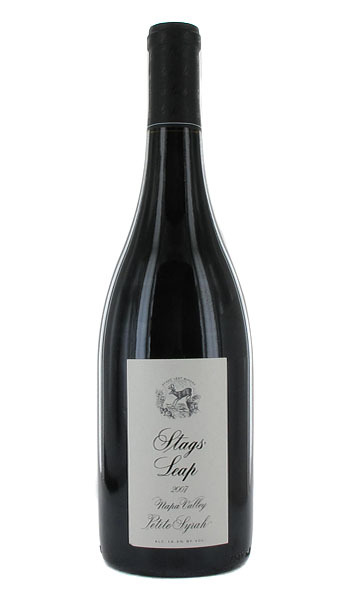 If you don't know Stags' Leap, don't take this as indicative of their winemaking skills. They usually make outstanding Cabs and Merlots. Liza at Brix Chicks had the 2008 Petite Sirah and loved it. So hopefully the 2007 was just an off year. I went to Maven the other night in the Lower Haight, San Francisco. Maven serves microbrews, wine, cocktails, and small appetizers. All the selections looked adventurous, interesting, and/or delicious. I know we need the rain and the Sierras need the snow, but I'm really enjoying the sunshine even if its a bit brisk out. So I went wine tasting at Sonoma Square on one of those beautiful sunny January days. When I lived in Sonoma back in 2008 there was only one winery on the square and several in biking/short driving distance. Now there are 13 tasting rooms on the square, one a block away and two coming soon. Also on the tasting circuit with free samples there's The Sonoma Cheese Factory and a chocolate shop. Both are pretty tasty! The tasting room at Adobe Road on Sonoma Square is very spacious and has bar seating and table seating as well as a private room in the back for special events. The light yellow walls are adorned with Porsche racing memorabilia and awards, photos of Yosemite, and paintings of vineyards. Its a really well designed tasting room. The staff were very knowledgeable, friendly, and they clearly loved their job which always translates into great customer service. You get to taste 4 wines for $5 or $10 for the reserves. The tasting fee, like many of the tasting rooms on the square, is waived with the purchase of a bottle. And like any good tasting room there is always the possibility of extra tastes especially for paying customers. GlenLyon Vineyards and Winery and Two Amigos are two labels from the same winery as far as I can tell. They share the same tasting room and their websites are very similar. They take the seriousness out of wine and have the goofy wine labels to match their view. The tasting room attendant was a jovial man who was very knowledgeable about the wine and the winery. They have a big screen TV that is playing video blogs of the winemakers wearing the classic gag glasses with fake nose and bushy brows. The tasting room is very spacious and is just off of Sonoma Square and one door from Haywood Estate. Since my friend that I went with only drinks whites and they only offer a Chardonnay we didn't do the full line up. I only tasted the 2008 Primitivo ($35) from Sonoma Valley which was quite excellent. For those that don't know, Primitivo is very similar to Zinfandel in flavor and appearance. The most noticeable difference is the grape cluster of Primitivo is one long shaft where as the Zin has three clusters with two small wings and a long cluster in the middle.